St. Stefanus is an abbey style Belgian ale brewed by the small family Van Steenberge Brewery in Erdvelde, a small village in East Flanders (Belgium). 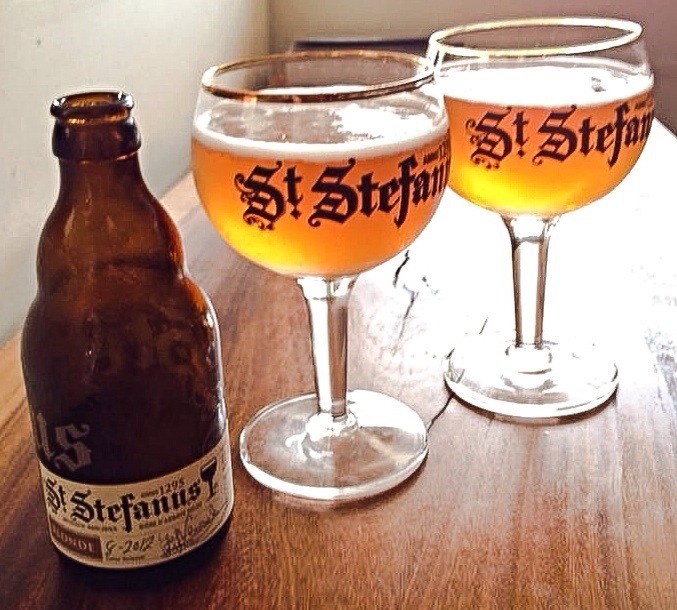 Van Steenberge’s beers are brewed under contract with the Augustinian Monastery at Sint Stefanus, in nearby Ghent. 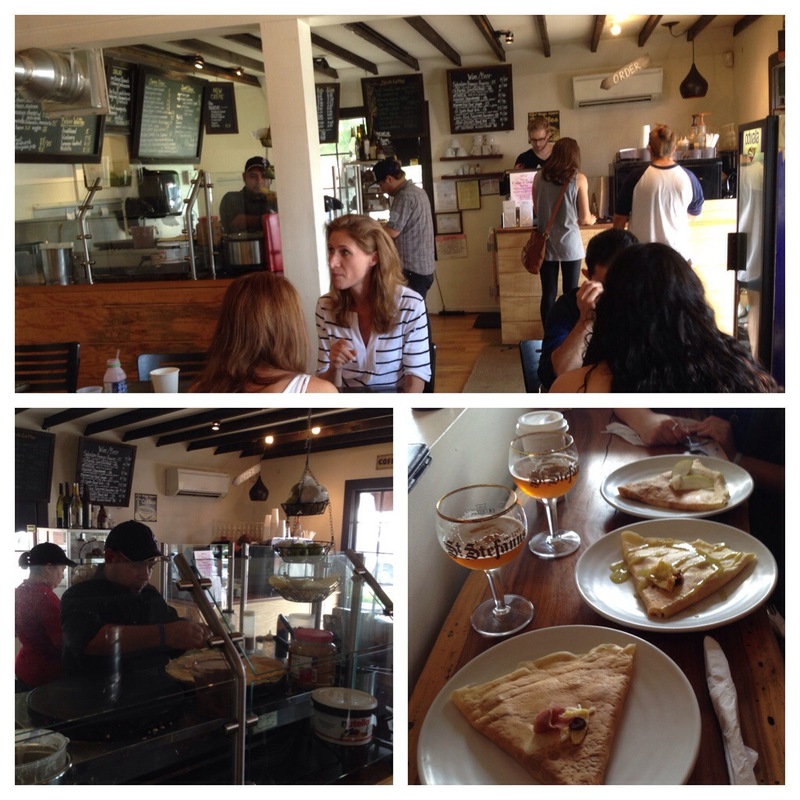 The St. Stefanus Blonde is a rich and aromatic high-gravity ale (7% ABV). It was the perfect accompaniment to our meal and brought back memories of drinking the (then new) La Maudite by Unibroue at a crêperie in Québec City, the historic neighborhood of Quebec, in 1993. We had just spent a week camping, hiking, and canoeing in La Mauricie National Park and were on our way to Maine. The complex golden ale was ideal for washing down the hearty Normandy-style crêpes we had that day, and I was quite surprised when I stood up after drinking two bottles – at that time an ale with 8% ABV was a new experience. St. Stefanus ales are bottle-conditioned, and signed by the brewmaster. The bottles we had were dated August 2012 – so at 22 months were a bit beyond peak as described by the maturation recommendations on the bottle. The beer didn’t seem to have suffered in terms of flavor however I can imagine it might have had a more pungent aroma had it been younger.